Facebook/Burger KingBurger King is now Pancake King. Burger King poked fun at the rebrand by changing its name to “Pancake King” on Twitter and Facebook. “If we have other people in the world of burgers commenting on our burgers, it can only help,” IHOP’s president previously told Business Insider. IHOP’s burger-centric rebranding as IHOb has inspired some mockery from fast-food chains. 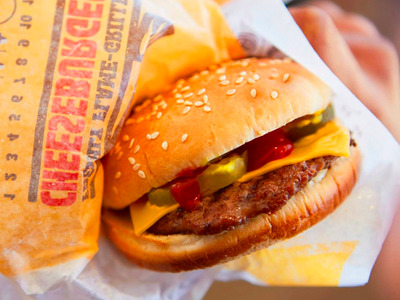 Now, Burger King has taken a direct shot at the breakfast chain’s revamp. Last week, IHOP, the International House of Pancakes, announced it would change its name to IHOb, flipping the “P” to a “b.” On Monday, IHOP announced that the “b” stood for burgers, sparking some backlash from other burger chains. 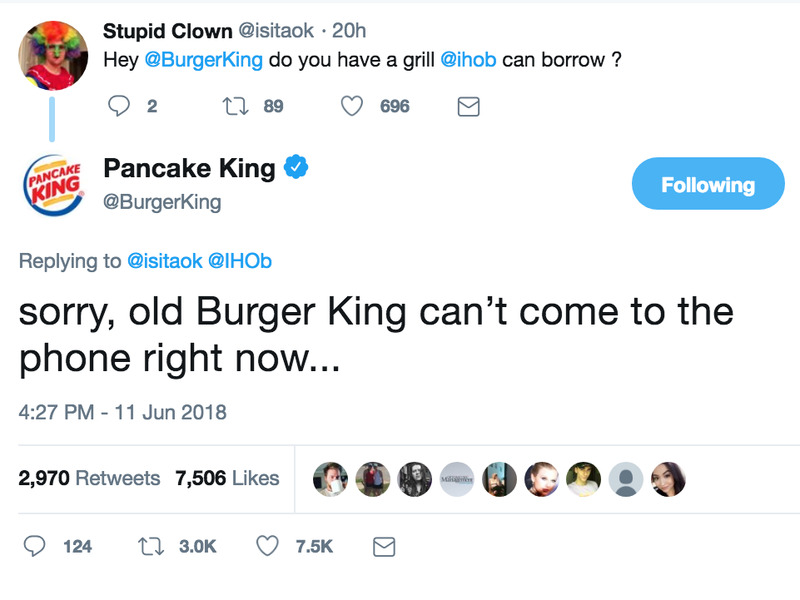 When one Twitter user asked whether Burger King had a grill that IHOb could borrow, “Pancake King” responded with a Taylor Swift-inspired allusion to its new identity. “A team of people went to school for years and collectively paid hundreds of thousands of dollars – if not more so they could present us with this marketing masterpiece,” one person commented on Facebook. IHOP doesn’t seem to mind the mockery much. “If we have other people in the world of burgers commenting on our burgers, it can only help,” IHOP’s president, Darren Rebelez, told Business Insider on Monday.